If I were to describe my job in one sentence, it would be this: My primary goal is to increase the independence of my students in ways that are meaningful to them and to their families. With that goal in mind, it makes sense that I would seek out input from my students and their families, but also seek out writings by people with autism, Asperger’s, and other developmental delays in order to gain a comprehensive picture of needs, desires, and issues of which I may be unaware. 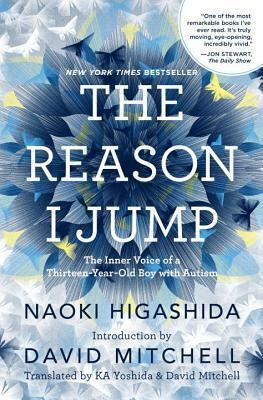 The Reason I Jump by Naoki Higashida – This book was all over the news last year. Set up as a series of questions and responses, Higashida answers all sorts of questions related to autism. His writing is very direct and he shares a lot about the emotions he feels but is unable to convey. Any books by Temple Grandin – Temple Grandin is a force in the autism community and has provided a wealth of resources. You can read some of her early work, such as Thinking in Pictures to get a view inside the mind of an individual with autism, but I also have great appreciation for her later work as an advocate for people with autism, such as Different…Not Less. Episodes by Blaze Ginsberg – This is one of my all-time favorite books. Ginsberg sets up his life experiences and relationships as if they were different seasons of television shows. He presents his teen years as if you were flipping through the channels, seeing different episodes of his life. He even has songs for each episode! 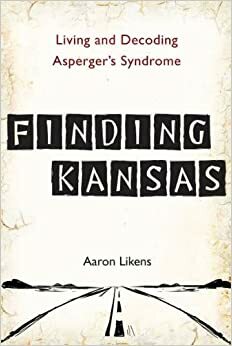 Finding Kansas by Aaron Likens – This one is unique because it is written by a man who was diagnosed with Asperger’s in his 20s. Likens is eloquent in his use of metaphor to help clearly define aspects of his behavior. www.wrongplanet.com – Wrong Planet is a community forum for individuals with autism and their families. You will see a wide range of questions and opinions here. It also serves as a forum for individuals with autism to express their feelings about topics such as whether or not they prefer people-first language, how people with autism should be depicted on TV, legislation related to autism, and more. Written by: Different Roads to Learning on January 8, 2015.on January 7, 2015. This entry was posted in autism, Autism Awareness, autistic spectrum disorder, Resources, Sam's Tips and tagged Aaron Likens, autism, Autism Awareness, autism books, autistic spectrum disorder, Blaze Ginsberg, books written by autistic individuals, developmental delays, developmental disabilities, Naoki Higashida, Resources, Sam Blanco BCBA, Temple Grandin, Wrong Planet by Different Roads to Learning. Bookmark the permalink.